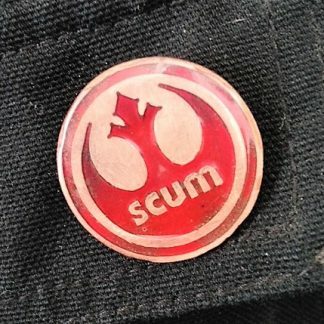 Pins & Badges – Monkey Dream. Monkey Do. 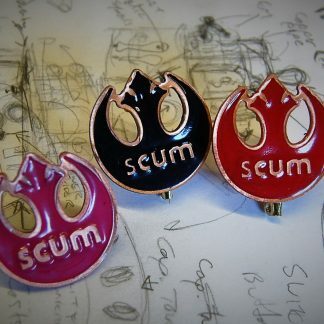 Most of my pins are currently designed by me and cut from double copper-clad PCB [computer] board with the help of my friendly robot. 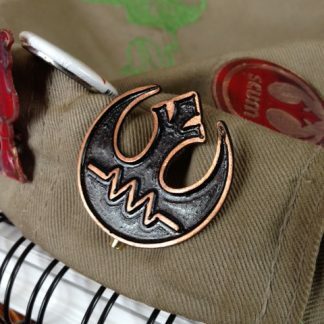 I do custom work as well, so if you have a design/logo you want cut or would like a pin in a different color, just let me know. I will do what I can to make it a reality. 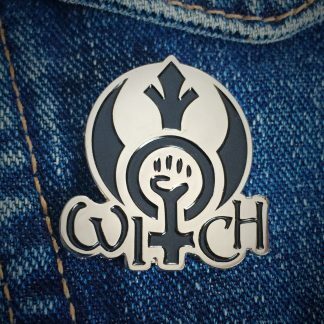 I have a wonderful Rebel Witch deluxe soft enamel pin in limited quantities. This is in honour of my wife’s amazing novel, “The Witches of New York”. 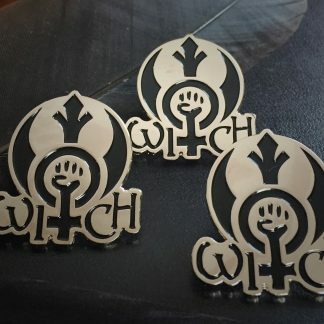 If it sells well, I hope to make more of my pins available in this format.